This book provides an up-to-date overview of plant diseases caused by Acidovorax species, addressing taxonomy, epidemiology, diagnosis, and management. 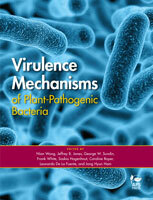 In addition, the book considers nonpathogenic plant-associated or free-living species of Acidovorax. Research goes back more than 100 years for some genera of plant-pathogenic bacteria, and a lot is known about the diseases they cause, including how to manage them. The opposite is true of the genus Acidovorax. Acidovorax pathogens and diseases have only recently been considered as economically important threats to food crops worldwide—among them, cereals such as corn, wheat, oats, barley, and rice. Thus, little is known about Acidovorax pathogens, and options for managing the diseases they cause are limited. 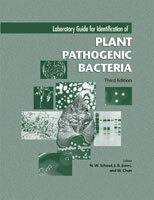 Plant-Pathogenic Acidovorax Species is the first comprehensive effort to collate information on these pathogens. 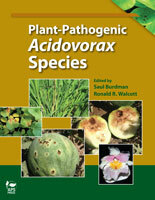 This book provides an up-to-date overview of plant diseases caused by Acidovorax species, addressing taxonomy, epidemiology, diagnosis, and management. 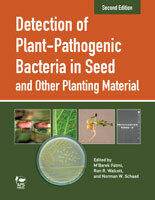 In addition, the book considers nonpathogenic plant-associated or free-living species of Acidovorax. Protocols are provided for detection and diagnosis with polymerase chain reaction (PCR), allowing diagnosticians and plant pathologists from academia, industry, and regulatory agencies to rapidly detect pathogenic species associated with plant materials. The current taxonomy of the genus Acidovorax is used throughout, providing researchers, instructors, students, and regulatory personnel with the most recent assessment of taxonomic classifications and nomenclature. The geographic distributions and host ranges of diseases are described, giving scientists, instructors, and personnel from industry and regulatory agencies an updated view of global patterns of disease. The mechanisms of action of plant-growth-promoting Acidovorax species are outlined, allowing researchers to develop sustainable and ecologically safe strategies for improving plant health and performance. Disease management strategies are described, supporting growers and seed and plant producers in developing and implementing effective measures of control. Color photos are provided of plant disease symptoms, enabling researchers, growers, and students to visually identify the diseases that affect specific crops. The editors of Plant-Pathogenic Acidovorax Species, Saul Burdman and Ronald R. Walcott, are experts in the field of plant-pathogenic bacteria and recognized for their work in the area of bacterial fruit blotch disease, caused by Acidovorax citrulli. In writing this book, they have engaged 29 other researchers from around the world to provide the latest information about Acidovorax pathogens and diseases. Their work has filled a significant void in the research literature on the genus Acidovorax.